WHAT ARE KNURLS? How do I measure them? Knurls are the cut lines on handle bars, it displaces metal to the side, raising little beads of metal and slightly increasing the OD of the bars. This is done to prevent your bars from rotating in the risers on your scooter. 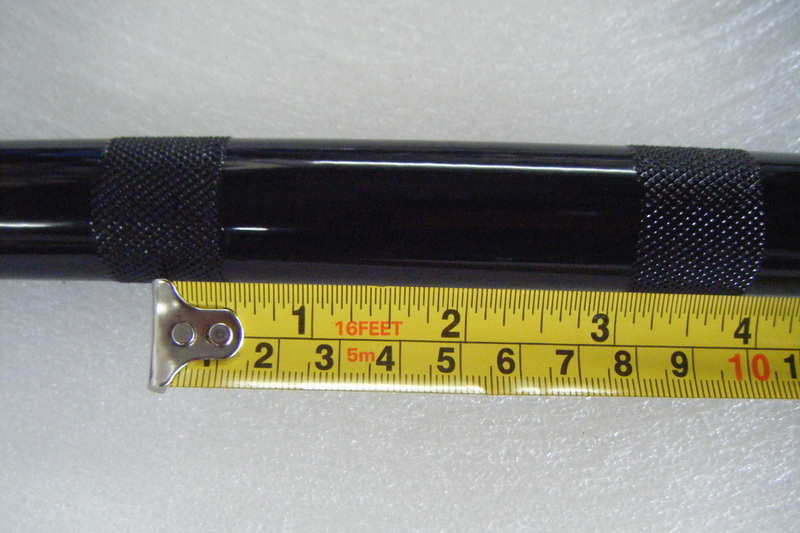 The following pictures are of how to measure your knurls. 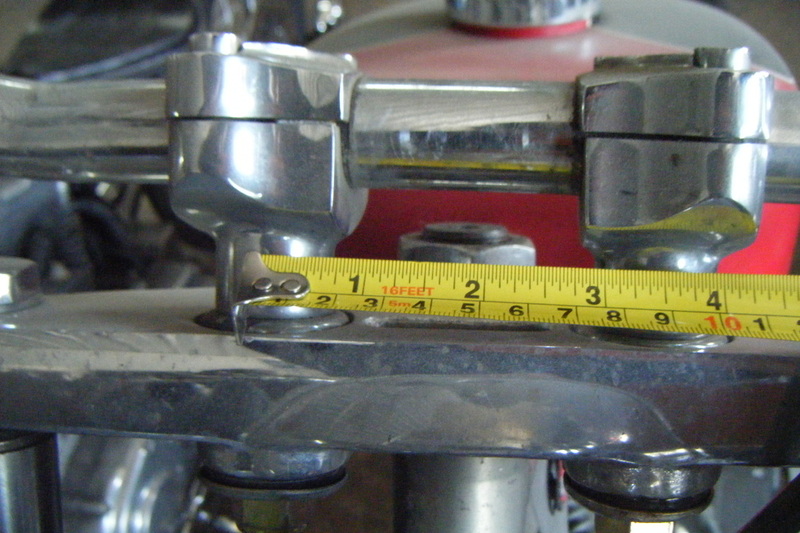 These bars are 3.5" on center and as you can see from the picture below these also measure 3.5" on center on this motorcycle.